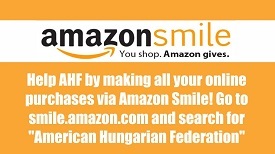 Serving the community since 1906, AHF is an all-volunteer, non-partisan, non-profit educational and charitable organization. "Any display of the Szekler flag by radical groups no more vitiates its symbolic legitimacy than that of the American flag when it is displayed by extremist groups. This is a form of guilt by association which is a thoroughly discredited polemical tactic and never used by respected interlocutors. 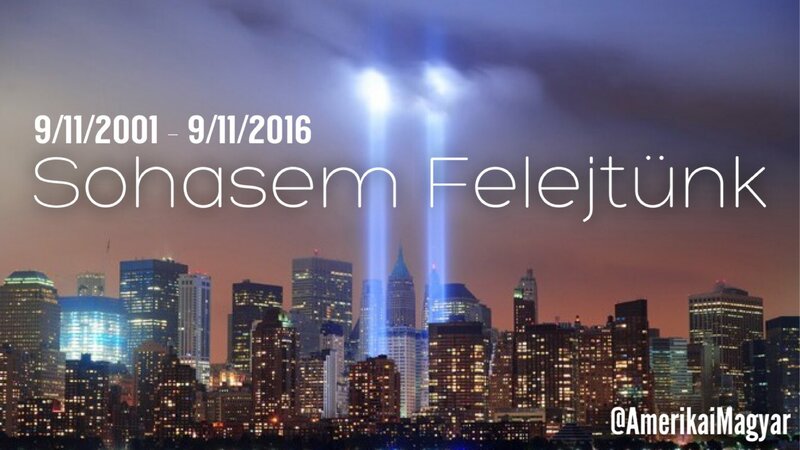 9/11/2016 - AHF honors the victims of the September 11 terrorist attacks. We will never forget. 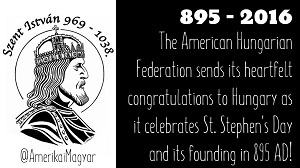 3/6/2016 - AHF launches new Twitter account that reminds us of the beauty of Historic Hungary. Follow @regikepek to see historic photos from Historic Hungary across the pre-Trianon Hungarian lands in the Carpathian basin from Transylvania to today's Ukraine, Slovakia, Poland, Serbia, Austria, Slovenia, and Croatia. On November 2nd, AHF Co-Sponsoring film showing of "Torn from the Flag." 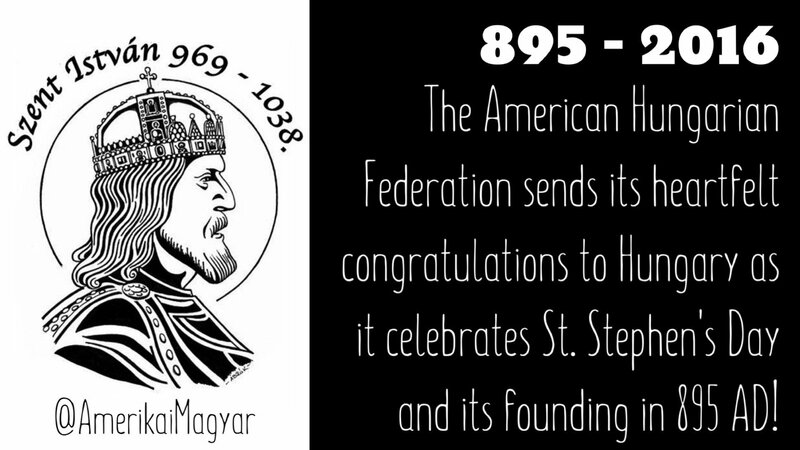 AHF is proud to be the first Hungarian American organization to support this documentary film about the significant international consequences and participants of the Hungarian Revolution of 1956. Klaudia Kovacs’ multi-award-winning sociopolitical historical documentary was the last film of legendary cinematographer László Kovács. Meet the director who will present the film and answer audience questions! 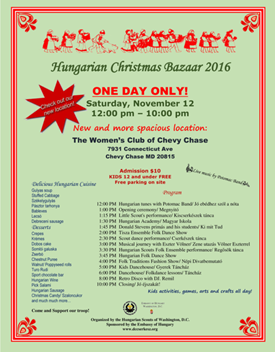 (Hungarian Scouts of Washington, D.C.) cordially invite you to the annual Christmas Bazaar featuring Live Music, Folk Dancing, Great Food, Kids Activities, Arts and Crafts, and Products! 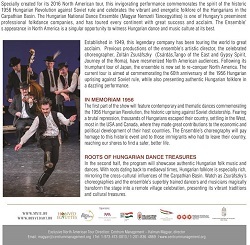 Saturday, October 8 at 4:00 p.m. in the Bay Village auditorium (8400 Vamo Road, Sarasota) The Enyedi-Salamon Quartet featuring folk dancers István Berecz and Réka Bures perform traditional Hungarian folk music from the Carpathian Basin. 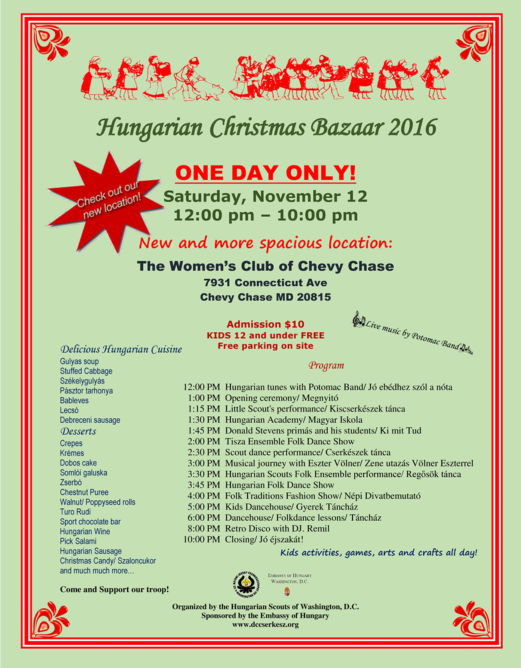 The Napraforgók / Sunflowers Hungarian Children’s Ensemble of Sarasota is featured as a special guest. 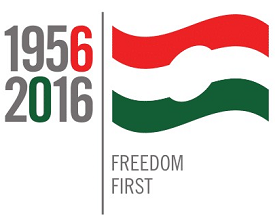 Dr. Zsolt Németh, head of the Foreign Relations Committee in the Hungarian Parliament, will celebrate the 1956 Memorial. The 1956 memorial concert by pianist Tünde Ilona Krasznai starts at 5:00 p.m. There will be a banquet at the Salute restaurant (23 N Lemon St., Sarasota) at 7:00 p.m. in honor of our guests. $30 per person, payable in advance to the Kossuth Club (P- O. Box 19774, Sarasota, FL 34276) by October 13. The Right-Handed Shooter Who Won With His Left Hand...this "handicapped" Olympian would become the first repeat Gold Medal winner of the rapid-fire pistol event! Karoly Takacs was a member of the Hungarian pistol shooting team in 1938 when, while serving as a sergeant in the army, a defective grenade exploded in his right hand - his pistol hand - and shattered it completely. After spending a month in the hospital, Takacs secretly taught himself to shoot with his left hand. The following year he won the Hungarian pistol shooting championship and was a member of the Hungarian team that won the automatic pistol event at the world championships. 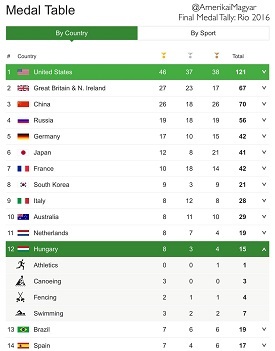 The next two Olympics, in 1940 and 1944, were cancelled because of war, but in 1948 Takacs qualified for the Hungarian Olympic team in the rapid-fire pistol event. He was 38 years old. Before the competition, the favorite, world champion and world record holder, Carlos Enrique Díaz Saenz Valiente, asked Takacs why he was in London. Takacs replied, "I'm here to learn." Takacs won the gold medal and beat the world record by ten points. During the medal ceremony, Díaz Saenz Valiente, who finished second, turned to Takacs and said, "You have learned enough." Four years later in Helsinki, Takács successfully defended his Olympic title to become the first repeat winner of the rapid-fire pistol event. 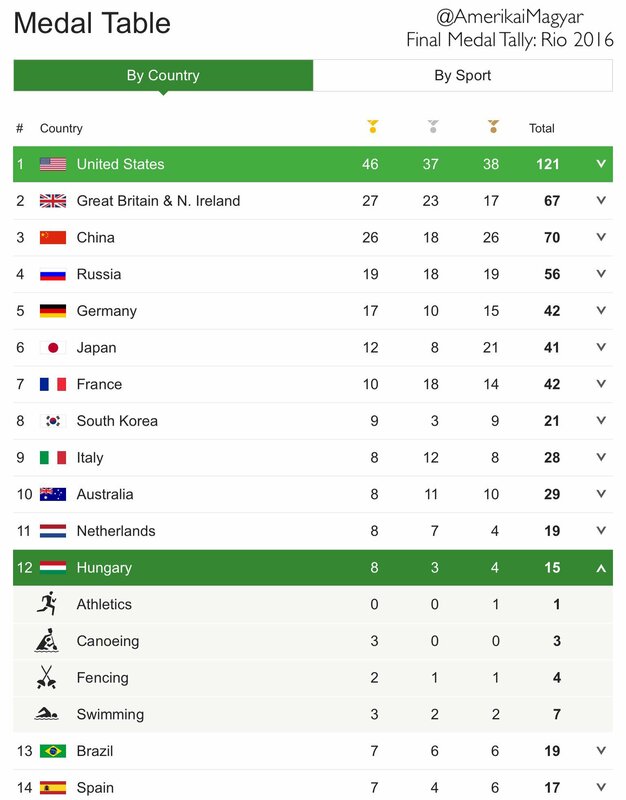 Hungary, with its great sporting culture, has a proud history of medal winning "Handicapped" Olympians. 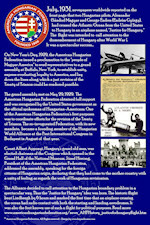 Amputee Oliver Halassy won two Gold Medals in Waterpolo in 1932 and 1936 and a Silver in 1928. Fencer Rejto Ildiko, a triumphant "handicapped" Icon, and winner of 7 Olympic Medals (two Gold), was still a Champion in 1999! Rejto participated in FIVE Olympics - 1960, 1964, 1968, 1972, and 1976 - and won 7 medals!